Cascadia Music will continue celebrating 30 years of bringing music to the Methow Valley with three concerts to round out the spring season. 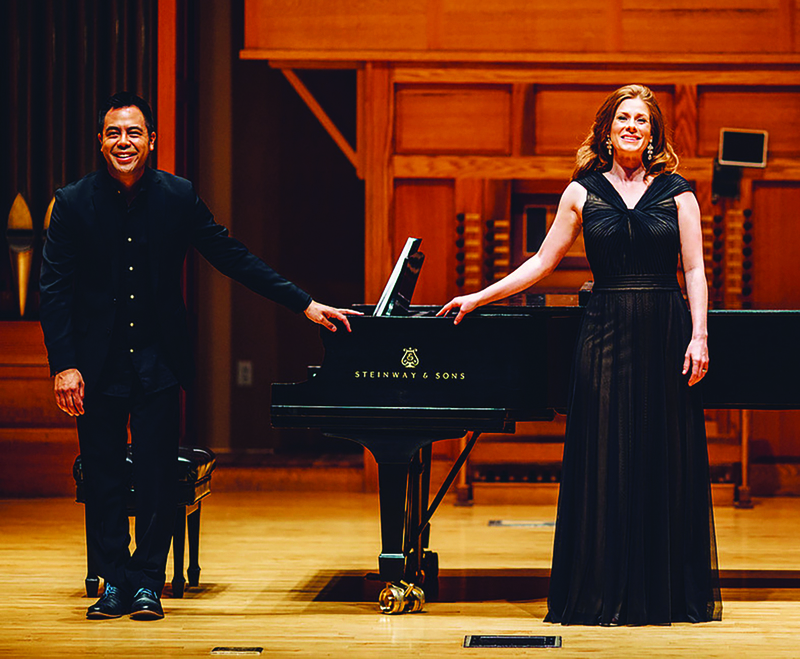 On March 5, pianist Nikolas Caoile and his wife mezzo soprano Melissa Schiel will perform as part of Cascadia’s annual Keyboard Confections. Maestro Caoile is conductor of the Wenatchee Valley Symphony and is director of orchestras at Central Washington University in Ellensburg, as well as a much sought after guest conductor throughout the Northwest. Caoile’s artistic leadership spans professional community and academic arenas, and he is also a frequent collaborative pianist, performing with artists like violinist Denise Dillenbeck, flutist Sarah Tiedemann, cellist John Michel, and mezzo soprano Melissa Schiel. In commemoration of the 400th anniversary of William Shakespeare’s death, the duo will perform works by Julius Harrison, Brahms, Berlioz, Parry, Walton, Rossini and more. The first half of the concert will feature local pianists sharing their favorite pieces. Keeping with tradition, a delectable assortment of fine desserts will be served at intermission.